You are welcome! Look around and when you want to know what it is all about: start here! 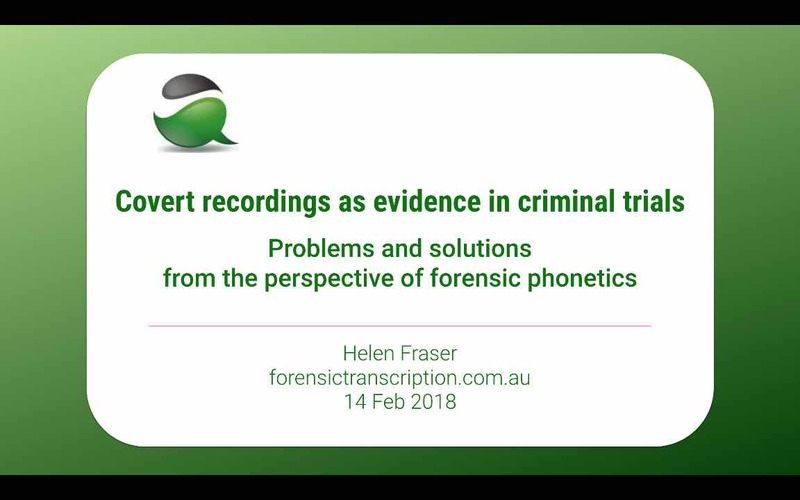 How much can ‘enhancing’ improve the clarity of indistinct forensic audio? The Conversation: Have we brought back police verballing? You didn’t miss the mind boggling 90sec Welcome video did you? DISCLAIMER: This site contains general information only, and no responsibility is taken for its accuracy, completeness or relevance to particular legal cases. Please exercise due diligence in researching the issues for yourself before using this material for your specific purposes. All content © copyright Helen Fraser 2013-2019. By all means link to it but please do not copy or re-purpose without permission.